Solvang. 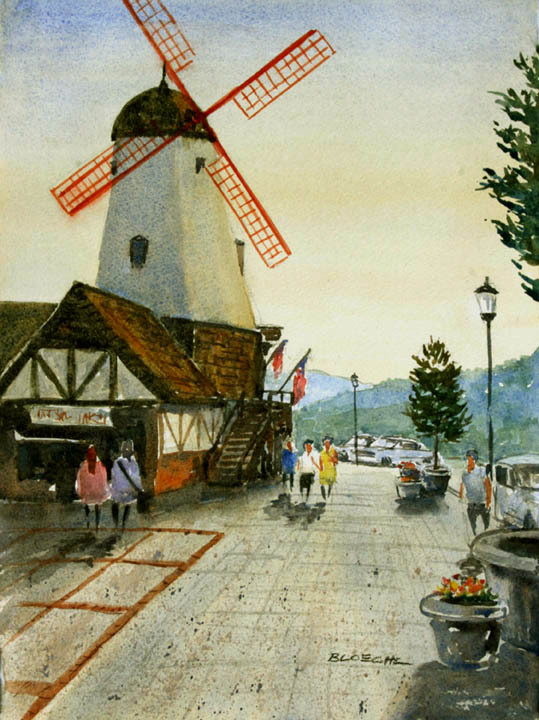 This scene depicts the iconic replica windmill in downtown Solvang, which serves as a gift shop. The picturesue Santa Ynez mountains fade into the backlit afternoon light..